Add it to your Goodreads shelf, friends! Summary: Amy is fine living in the shadows of beautiful Lila and uber-cool Cassie, because at least she’s somewhat beautiful and uber-cool by association. But when their dates stand them up for prom, and the girls take matters into their own hands—earning them a night in jail outfitted in satin, stilettos, and Spanx—Amy discovers even a prom spent in handcuffs might be better than the humiliating “rehabilitation techniques” now filling up her summer. Worse, with Lila and Cassie parentally banned, Amy feels like she has nothing—like she is nothing. “Parents,” he said. He pulled a sketchbook from his backpack. Maybe he had painted that beautiful mural. He ripped out a piece of paper, wrote something down, and handed it to me. GUYS. 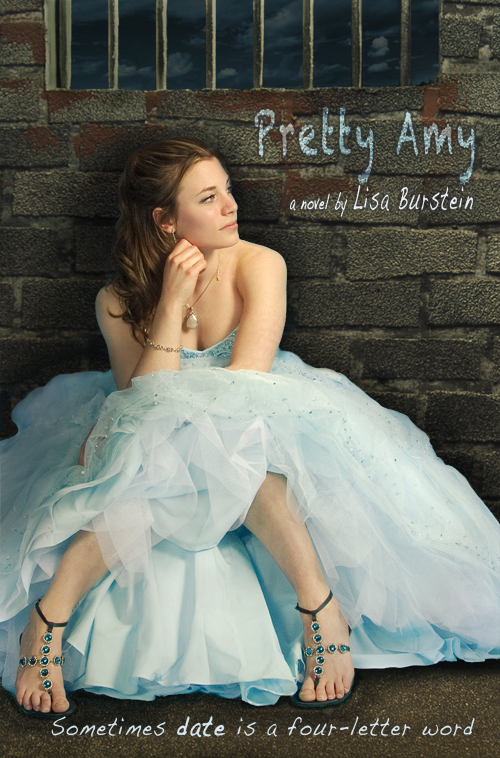 PRETTY AMY by Lisa Burstein sounds like an adorable, funny, sweet debut contemporary, and I CAN’T WAIT to read it!! I already have a HUGE soft spot for it because the main character’s name is AMY and she is a LIBRARIAN who sometimes wears SPANX. It’s like we’re the same person. HOLLA! 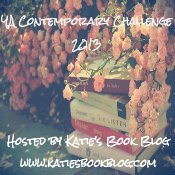 The team at Entangled is also running a pretty sweet contest leading up to PRETTY AMY’s release on May 15. It involves your Worst Prom Photo, and it sounds LEGIT. 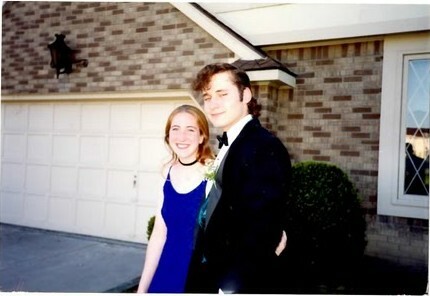 All you need to do is dig up your most embarrassing, horrible prom photo and keep an eye out on Lisa Burstein’s website, http://www.lisaburstein.com, in the days leading up to PRETTY AMY’s book birthday. She’ll be posting more information on the contest. This is Lisa's Junior Prom photo. It is awesome. I can’t lie, guys. This week’s IMM is thin, but I still got some great books to read. Some are new, some are a little old, but I’m psyched for all of them. Let’s get down to business! Sisters of Glass, by Stephanie Hemphill (May 8, 2012 from Knopf). I actually have another of Stephanie Hemphill’s books on my currently reading pile, WICKED GIRLS, which is a story in verse about the Salem witch trials. 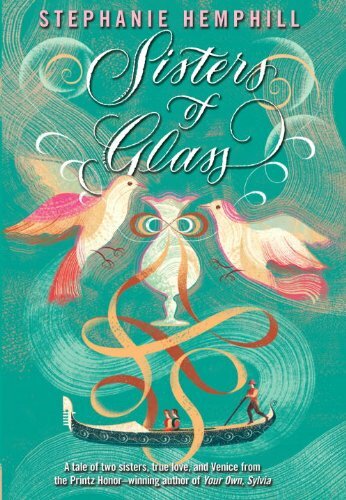 THIS book, though, is a historical fiction set in Italy among Venetian glassblowers. Sounds great! Plus I think the cover is pretty! 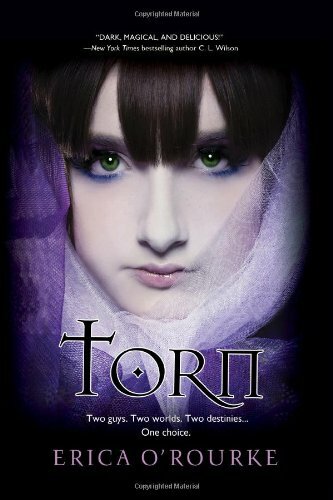 Torn: Torn Trilogy, book 1, by Erica O’Rourke (June 28, 2011 from Kensington). This one sounds great. The murder of a best friend reveals dangerous secrets and magic and two–count ’em, TWO–yummy boys! 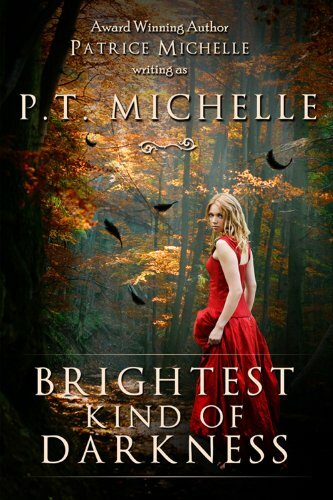 Brightest Kind of Darkness: Brightest Kind of Darkness, book 1, by P.T. Michelle (June 27, 2011 from Patrice Michelle). This book sounds fantastic. It’s about a 16-year-old girl who dreams every night of what will happen the following day. Obviously, this leads to problems. Problems that I want to read about, please! 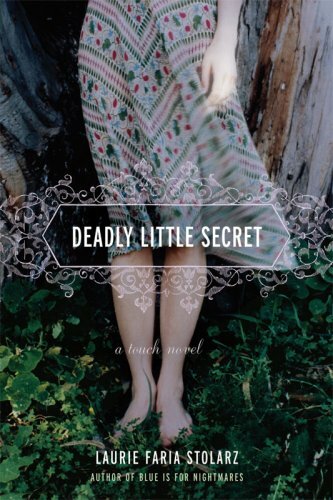 Deadly Little Secret: Touch, book 1 (December 23, 2008 from Hyperion). So, I’m behind the times with this one, I know. (This series currently has four books out already, and the fifth one is out next year.) But it sounds right up my alley, so I nabbed an ebook for my Kindle and am ready to get started! Amber Frost: The Lost Magic, book 1, by Suzi Davis. The second book in this series, SILVER DEW, is coming out next month, and the books sound so intriguing that I had to get on ’em. 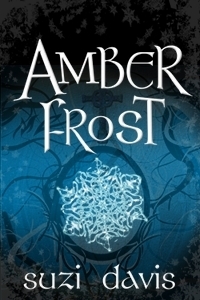 This one, AMBER FROST, is about a young girl who moves to a new city and meets a mysterious boy. There seem to be hints at past lives and forgotten pasts and other awesomeness. Also, strange tattoos. I can’t even! That’s it for me this time around! Any oldies but goodies in your mailboxes this week?